GUWAHATI/ SHILLONG: Assam government will provide a Rs 10-crore solidarity fund to Meghalaya as a goodwill gesture for the National Games 2022 to be hosted by the neighbouring state. “State of Meghalaya is gearing up for hosting the National Games, 2022. 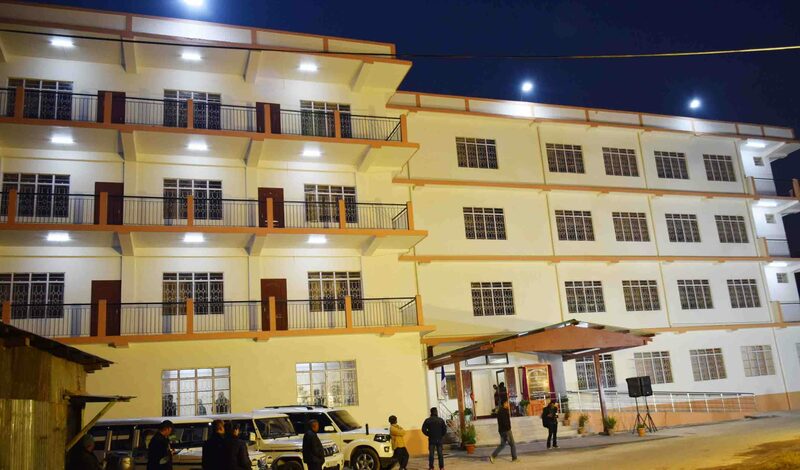 As a goodwill gesture, a solidarity fund of Rs 10 crores to the government of Meghalaya will be given,” announced Assam Finance Minister, Himanta Biswa Sarma, while presenting a Rs 1,193-crore deficit Budget for fiscal 2019-20 in the state assembly here on Wednesday. Chief Minister Conrad Sangma and sports organisers in Meghalaya hailed the Assam government’s announcement. This brilliant decision by the Assam government, Kharshiing said, is a fitting tribute to the memory of all the great sportspersons of the North East as the 2022 National Games is being hosted in the region. “The challenges in the past where states find difficulty in hosting the National Games as per schedule should be a matter of serious concern to the Centre which must take the responsibility of ensuring that the necessary international standard infrastructure and adequate coaching support are made available in each and every state so as to reach the podium Olympic,” he said. “Our mission in the MSOA is now to target the Olympic podium in the years to come and hosting the National Games is one step towards that objective, besides creating a healthy eco-system for the sport-loving people of Meghalaya. We thank the Assam government for the support towards the hosting of the National Games,” the MSOA working president said. Meghalaya reportedly has a tentative budgeted outlay of Rs 1,505 crore to prepare for and organise the Games. “However, on the other hand, we are disappointed with the central budget as we expected a quantum increase in the allocation by the sports ministry. There should be a MGNREGA-like scheme for sports only. The Centre should allocate adequate funds for creating world-class infrastructure in the state hosting National Games if it is serious for podium Olympic. It should allocate, create and support a sports development corpus fund of Rs 500 crore in every state. It’s only when we broaden the pyramid at the bottom will we be able to find Olympians,” Kharshiing added. “Hopefully, the solidarity initiative is not linked to the current issue, which is against interest of the indigenous population and rightly opposed in Meghalaya,” Bhattacharjee said, referring to the ongoing movement against the Citizenship (Amendment) Bill, 2016.